Problems with your steering and suspension can cause minor ride comfort and handling issues on the road, from body roll and pitch, while turning to play in your vehicle’s steering. 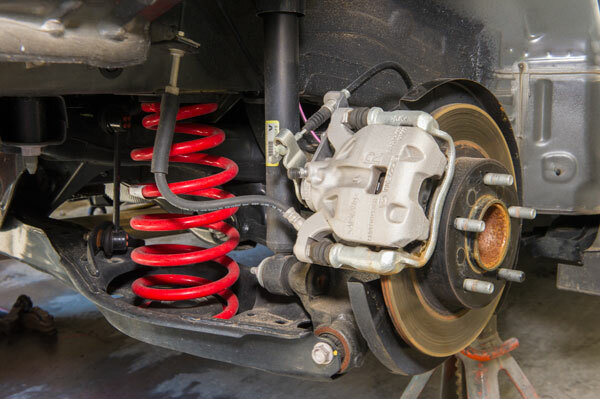 Our workshop is equipped to repair and replace problem components in your suspension and steering, from new springs, bushing and shock absorbers to repairing faults in your power steering. As well as conducting wheel balancing and alignment to eliminate play in your vehicle’s steering- so your vehicle is responsive and remaining stable through corners. To find out more about how we can solve steering and suspension issues, contact our team today!